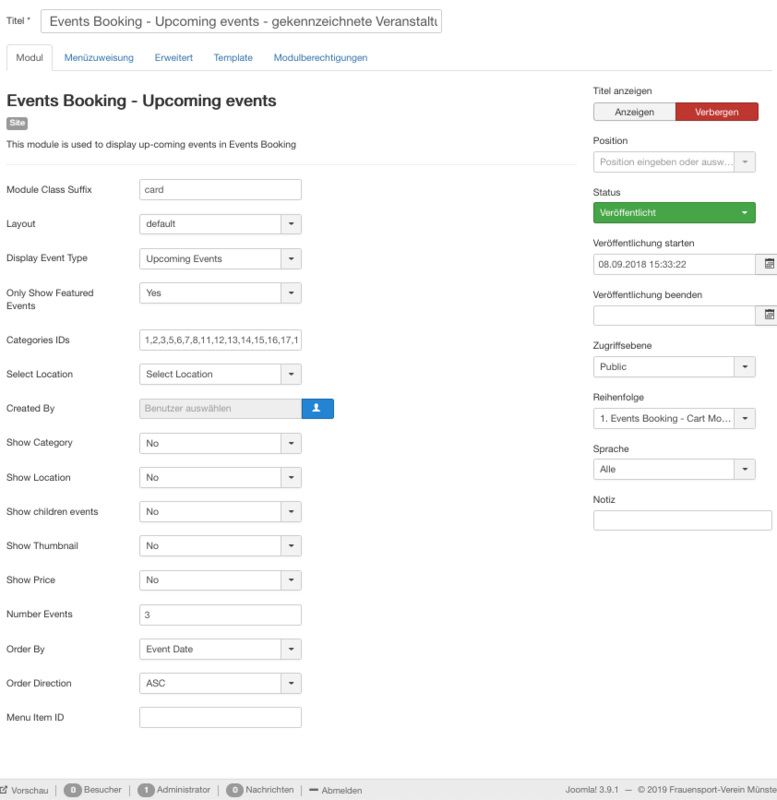 I use the up-coming events module to display featured events in a small list with maximum 3 events on the frontpage. It worked, but not anymore. Event Booking is up to date 3.8.4 - maybe something changed? Or what else can be the reason? Last edit: 2 months 2 weeks ago by Bettin. The module no longer displays events marked as featured. When I checked it again, I finally saw what was wrong . The parameter "Show children events" was set to NO and the featured event was a CHILD EVENT.